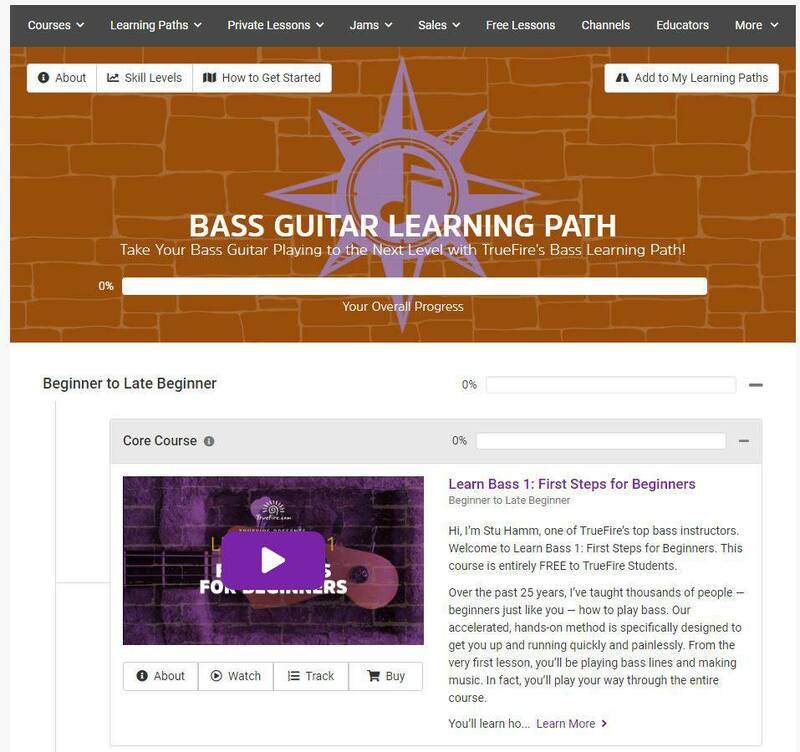 I researched where to find the best online bass lessons and found 4 top contenders. Take a look and see which site is perfect for you and your guitar. With the huge amount of bass guitar lessons available on YouTube it can be almost impossible to figure out how trustworthy the instructors are, let alone where you should begin. This lack of structure is what inspired me to go on a hunt for the very best online bass lessons available. It’s worth noting that almost all of the really good structured bass courses out there will cost a small amount of money. Compared to what it would cost you for a private teacher though it’s nothing, and you have the benefit of doing the lessons at your own pace along with all the supporting material that comes with it. Sure, you can always find free lessons on YouTube, but the quality of the instructors and the lessons themselves will fall short. Finding a great bass guitar course is the BEST thing you can do to keep you on track and help you become a better bass player. Let’s go through each one in-depth and see what they offer! TrueFire offers a monthly subscription for unlimited streaming access to all their courses, or you can buy each course individually if you prefer. Other than just streaming the courses, you can pay a little extra if you want and get 1-on-1 training from a professional instructor over video. This is about as close as you will get to a teacher sitting right next to you in your room. At the time of the writing of this article there are 39 bass guitar courses, 5,770 bass lessons, and 13 bass instructors. Those instructors, by the way, are some of the world's top professional bassists so you can be sure you’re in good hands. 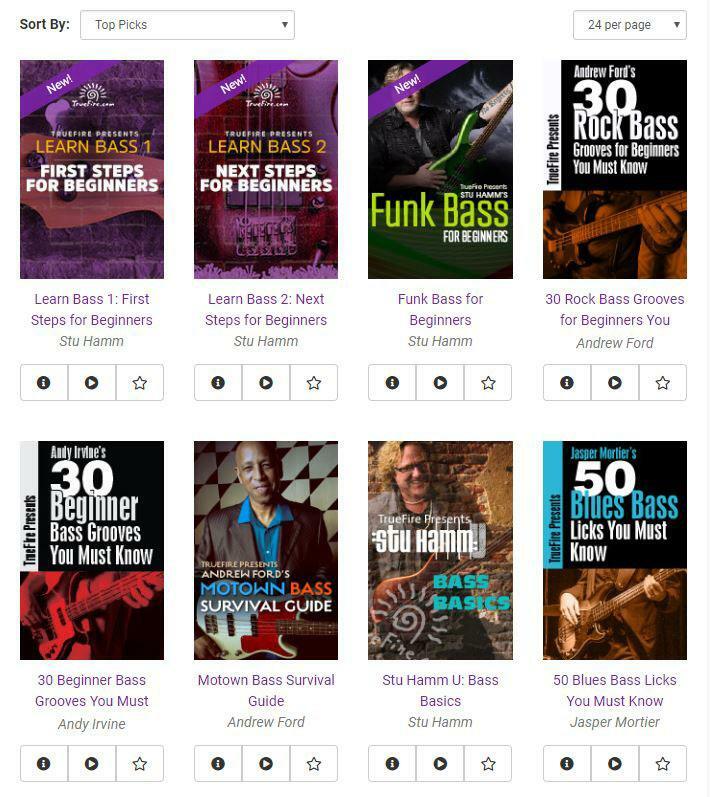 You can choose from the individual courses available like "30 Beginner Bass Grooves You Must Know", or go through the Bass Guitar Learning Path if you want some more structure and a clear path on what to learn first. The Learning Path will take you all the way from the beginner basics up to advanced techniques and theory. Each step of the way there will be recommendations for supporting courses that are around the same level in case you want to branch off a little from the core path. The courses are all very high quality, coming in on average between 2 and 4 hours long. They also come with charts, tabs, backing tracks, multi-angle video, and slow motion options. Truefire membership also comes with access to their forum, digital magazine, and tons of tools like a tuner, metronome, chords charts, and so on. “In The Jam” is a really cool piece of software you get where you can select from a bunch of different albums. Each album was handcrafted by TrueFire and comes with 10 multi-track videos per song - one for each instrument. You can then enable or disable whichever instruments you want, for example the bass track, and jam over top of it yourself. The software is great because in addition to the audio and video it comes with tabs and sheet music so you can see the progression and notes of each track being played. Overall it’s a really fun way of jamming out, learning to improvise, learning to read music, and avoiding common mistakes. If you want to learn individual songs on bass, this is probably not the best option for you. If you want to learn bass techniques, theory, and must-know grooves, then there’s really nothing better out there. The combination of great instructors and high quality video lessons will keep you coming back for more. Head over to TrueFire and sign up for a free trial here to see if you like it. While all the sites in this article have amazing instructors, JamPlay is known as having some of the absolute best and most famous bassists. Just to name a few you’ll get lessons with Bryan Beller of Dethklok, David Ellefson of Megadeth, Billy Sheehan who plays with Steve Vai, Freebo who plays with Neil Young and Ringo Starr, John Deservio of Black Label Society, Robbie Merrill of Godsmack, and Rex Brown of Pantera. In total there is a whopping 16 professional bass instructors. It’s worth noting that the bass guitar section of JamPlay is a separate signup from the main guitar section. With it you’ll get hours and hours of HD video lessons, each streamed in 5 different qualities and filmed from 3-5 different camera angles. You can choose which angle you’d like to view from (my favorite is the first person view angle), and you can stream all the video lessons to your mobile device. Whether you want to learn funk, blues, rock or any other style, they've got you covered. Learning is broken up into 3 different phases, plus an artists section. Phase 1 is where you will learn about all the basics like tuning, posture, technique, reading tabs, and playing simple bass lines. 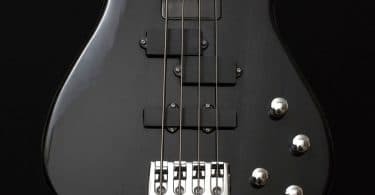 This section is for bassists who are completely new to the instrument or for somebody who wants to brush up on the fundamentals. Phase 2 focuses on genre specific techniques and skills. 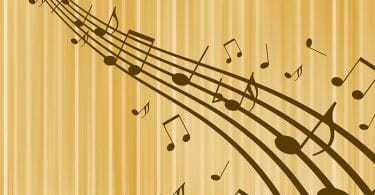 You can pick your prefered genre of music and the instructors will guide you through the skills and common techniques needed for that style of music. Phase 3 is where you will start learning songs. If you notice something missing that you want to learn the instructors will take your own requests and teach you how to play your favorite tunes. The Artists Series section is where there is no more chronological order to the lessons. These are the most popular videos on the website where the instructors teach you techniques and skills that made them famous. Along with each lesson you’ll get interactive tabs and you can change the playback speed without any pitch loss. There is also a great scale library complete with fretboard diagrams, theory, famous solos, and interactive video examples. One feature that I love is that you can add bookmarks to the video lessons. This is useful not only for marking where you left off or need to come back to, but you can share the bookmarks with instructors or other members if you need help on something specific. 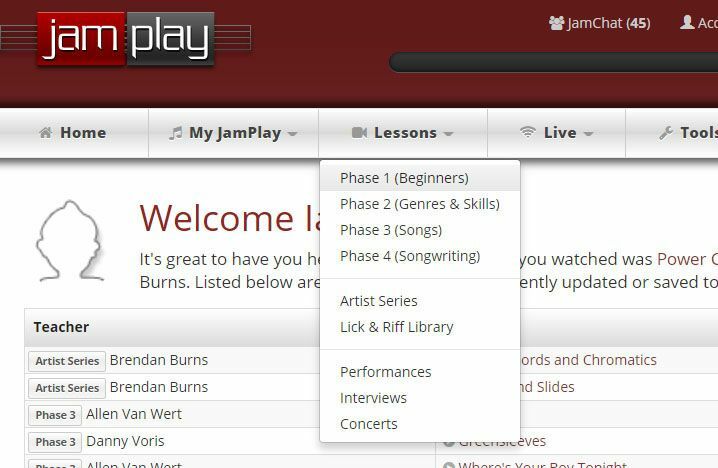 If you crave structure and have an ultimate goal of learning how to play songs, JamPlay is an excellent option. 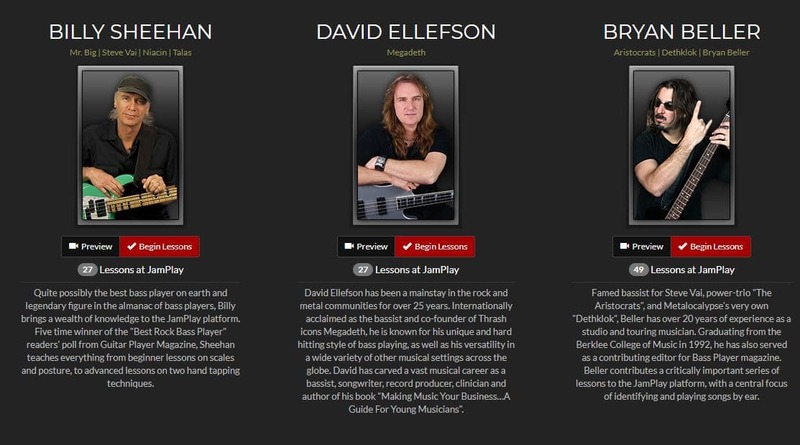 With this talented pool of instructors you can learn straight from the bassists of some of your favorite bands. Go ahead and grab your free trial here. When you’re learning online from a teacher it’s important that you like the person on screen. If you find them annoying or boring you’ll probably hit the exit button pretty fast and look elsewhere. Scott Devine of Scott’s Bass Lessons is one of the most enjoyable instructors to watch that I’ve come across. His personality and attitude are great and he just seems like an all-around awesome guy to hang out with. 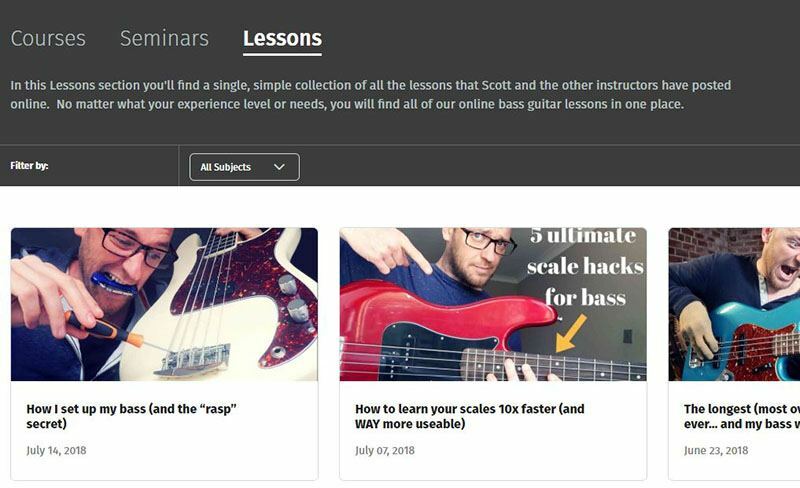 It also helps that Scott is the most widely followed bass guitar educator in the world, with over half a million bassists studying his lessons each month. Membership comes with hundreds of hours of video lessons taught by not only Scott, but a handful of other handpicked professional bassists. They actually utilize live bands during some of the lessons so they can explain in real time what they’re thinking while playing and how to approach it. It’s a fantastic and fun way of teaching in my opinion. Every lesson comes with tabs and backing tracks as needed. Scott also provides valuable “Action Steps” after each lesson so that you know what the takeaways are and what to focus on practicing so that you stay on track. Each week there are live-stream seminars from the various instructors on the site, and Scott himself has a monthly 2-hour long seminar where he will answer ALL of your questions. On top of that there is a weekly show where Scott discusses current news, community topics, challenges, and what’s coming up in the future. 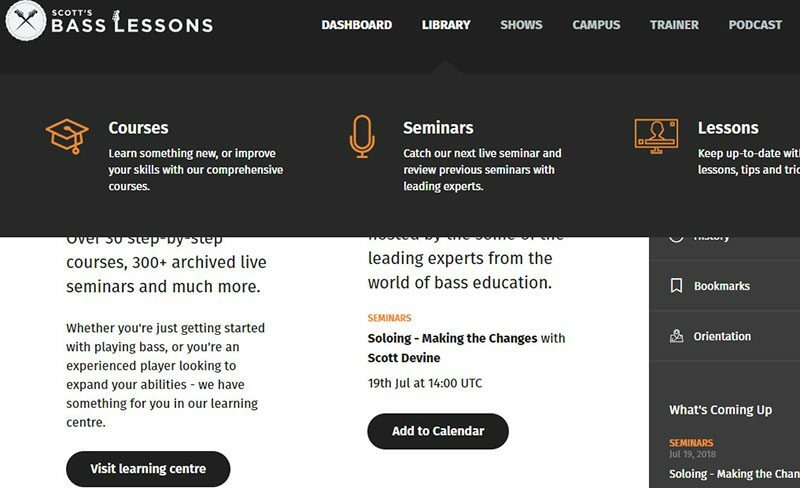 Throw in an awesome community forum and you have yourself one of the best online bass courses available! I think if your main goal is to jump in and play with a group of live musicians, Scott’s Bass Lessons is a great way to go. He breaks things down in a very simple manner and makes it easy to understand how you should be interacting with others in the group and what kind of notes will sound good. He’s all about “locking in” with the drummer which is an integral part of playing live. The lessons are structured in an easy-to-follow way, so you won’t really be jumping around figuring out where to go next. Scott’s personality and the great community supporting him are reason enough to give it a shot. Head on over to Scott's Bass Lessons website and check it out for yourself! Talking Bass is a bass guitar dedicated learning site that has a large community following. One of the reasons for this is the amount of free material they provide. The way it works is that once you sign up for free you can choose to purchase any of 10 different courses which range anywhere from 3 hours long all the way up to 15 hours. They range roughly between $20-$50 depending on which one you get. To give you an idea, a few examples of courses available are Beginner Bass Guitar Course, Simple Steps To Slap Bass, Simple Steps To Sight Reading, Technique Essentials Course, and more. If you’d rather go the free route, you’ll still have plenty to work with. You’ll get access to over 200 free video lessons (also available through YouTube) which are all organized in a straightforward manner going from absolute beginner up through more advanced techniques and grooves. In the “Practice Room” section you’ll find a wealth of information and training material. It comes with 84 classic bass riffs demonstrated with video and tabs, 20 classic slap bass riffs, an encyclopedia of scales and arpeggios, audio backing tracks for practice, and drum beats for groove practice. This is all free by the way! You’ll also find an ebook section with large reference manuals for scales, chords, arpeggios, and spelling drills. While not as structured as some of the other sites on this list, the amount of free content here is impressive. I would think of this more as a “Choose Your Own Adventure” kind of lesson site. It’s easy to jump around and lose your place, but you can choose what you want to work on at any given time. 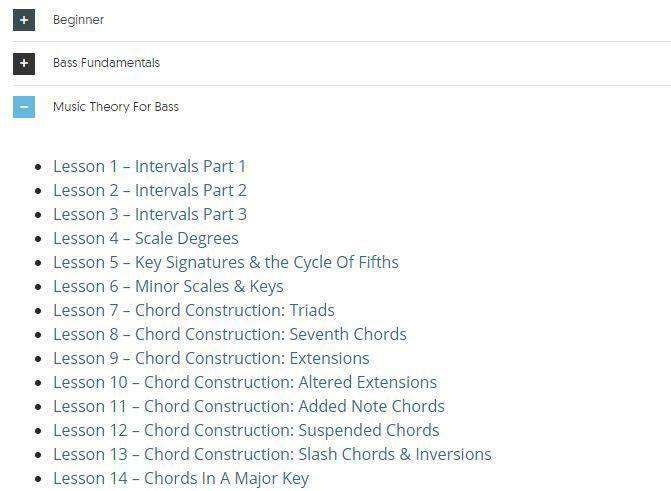 Besides having some of the best free online bass lessons, the Essential Bass Riffs, backing tracks, and scale reference manuals are reason enough to sign up today for free. Check out the Talking Bass website to see why the community loves them so much.